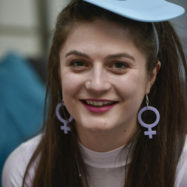 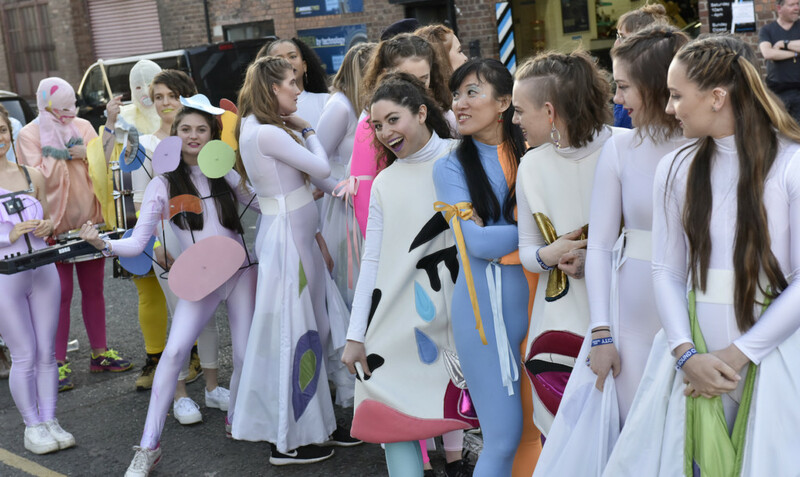 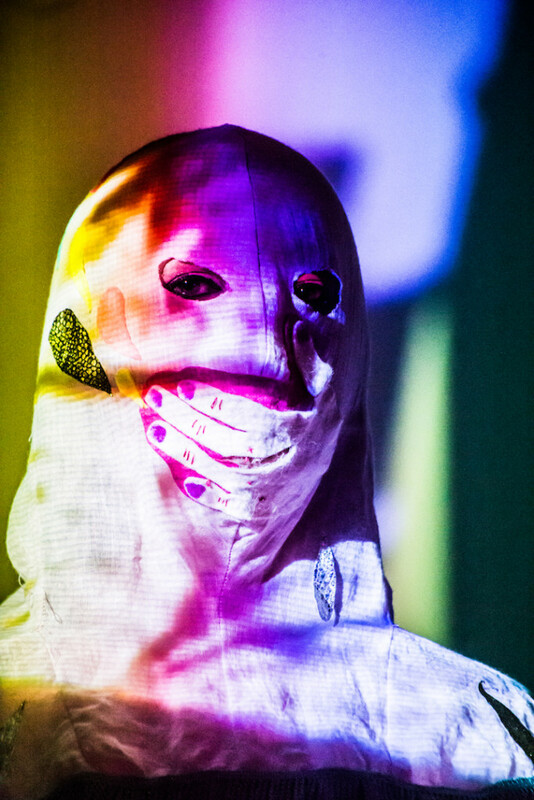 Check out our favourite photos from Stealing Sheep’s ‘Suffragette Tribute’ which premiered at Liverpool Sound City and is set to tour across UK festivals over the summer (there’s plenty more to see on Instagram too). 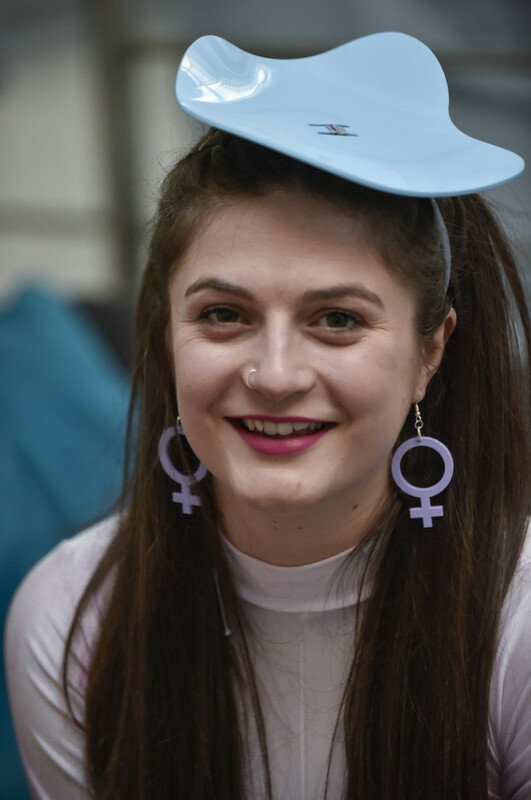 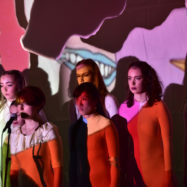 In April/May we took Both Sides Now, our three-year programme to support, inspire and showcase women in music across the North of England, to Liverpool for the first time. 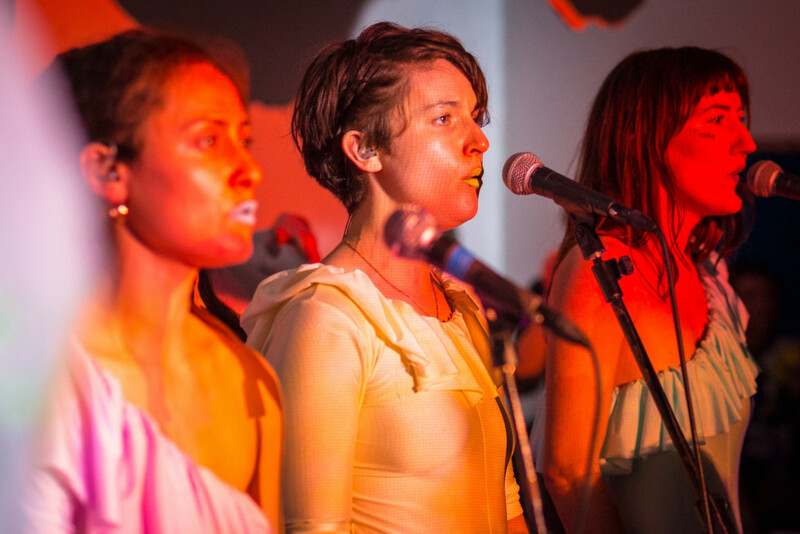 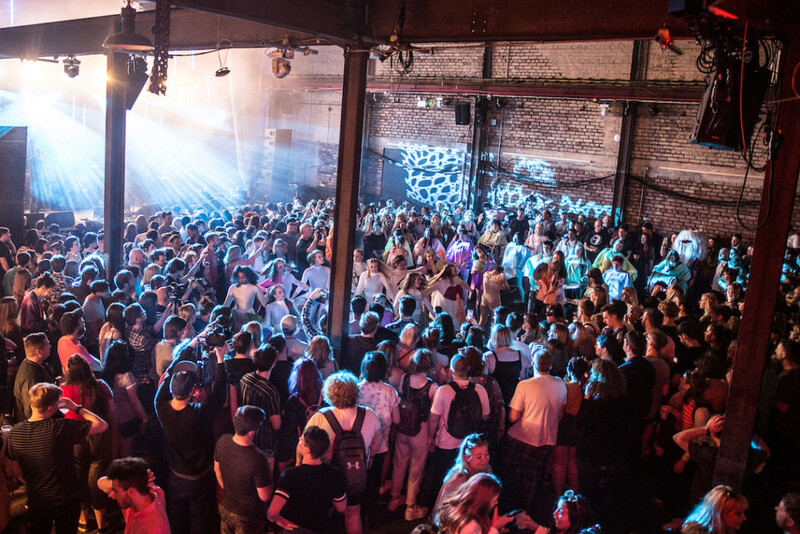 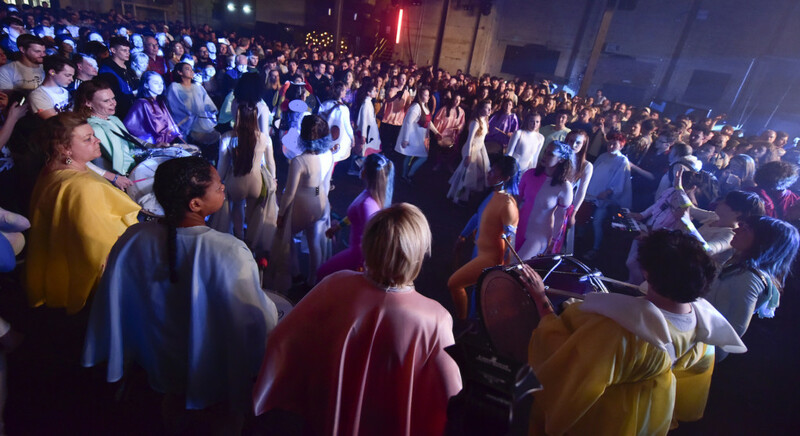 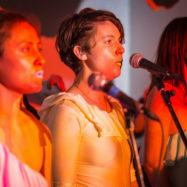 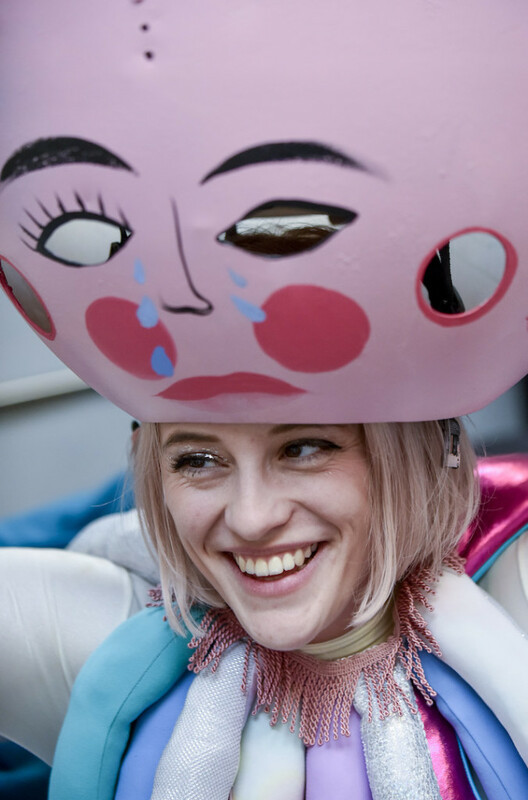 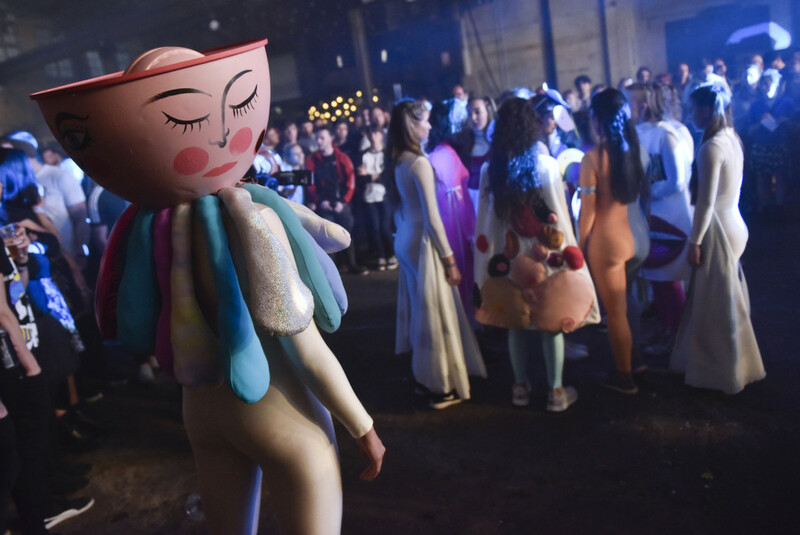 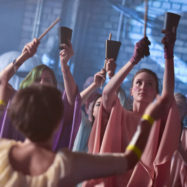 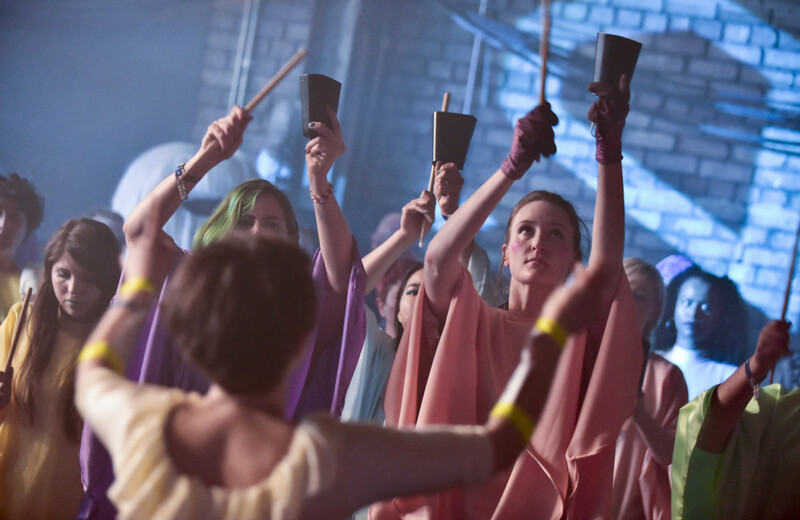 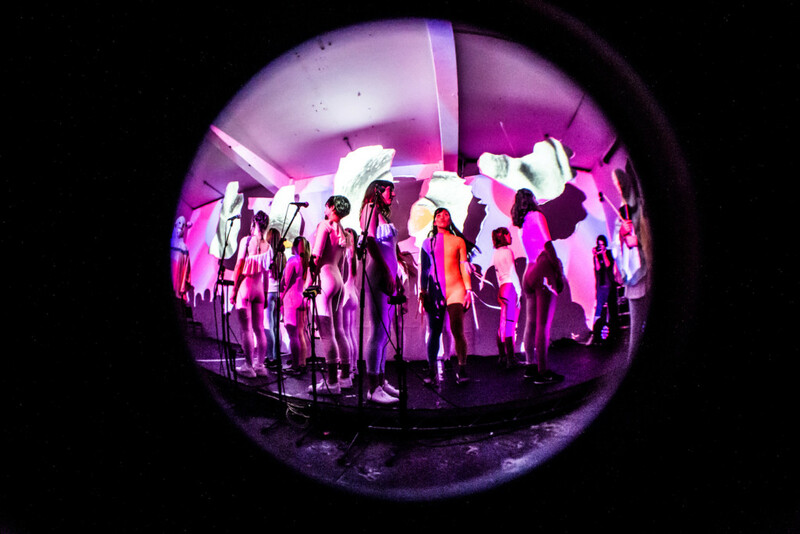 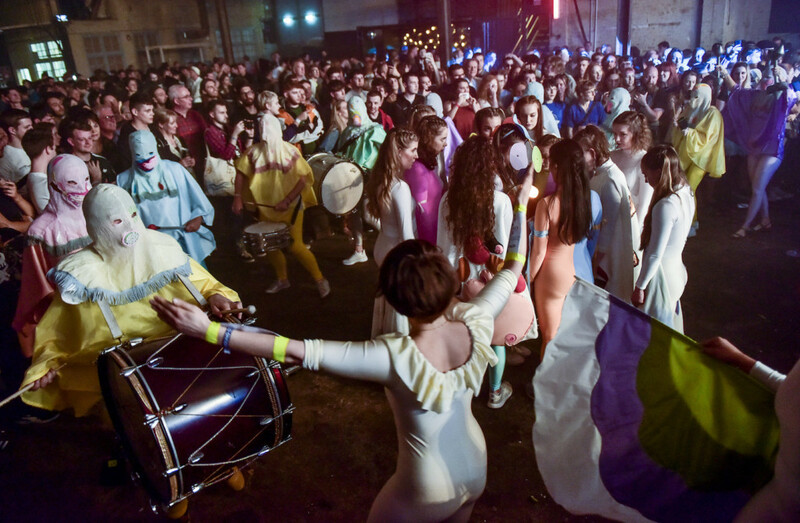 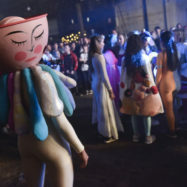 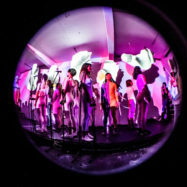 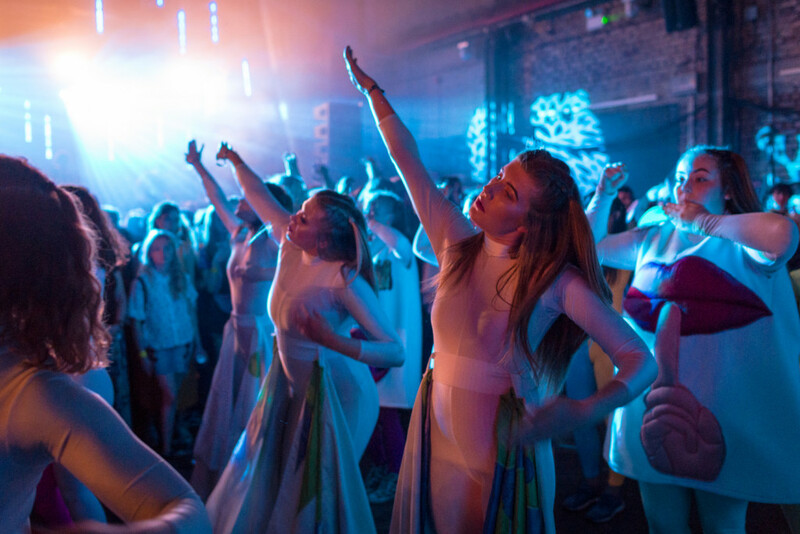 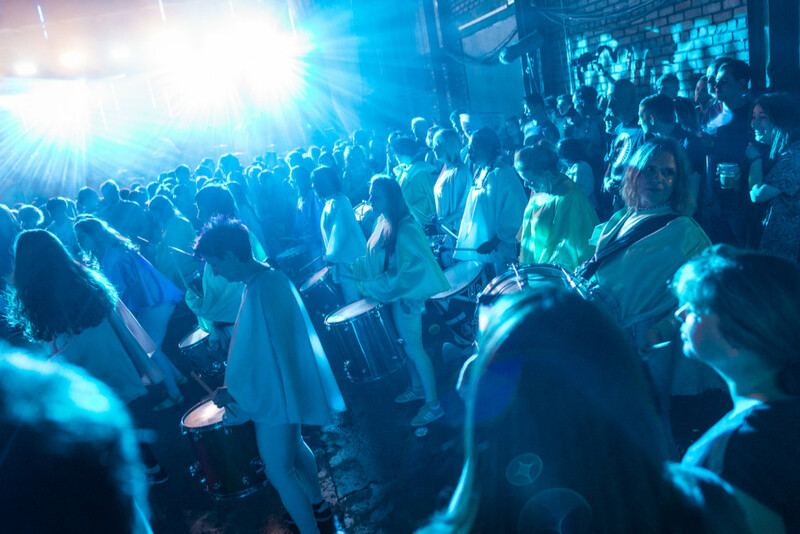 Unlike any residency we’ve done before, the Stealing Sheep led project was exclusively for female drummers and percussionists and took the form of a marching band procession. 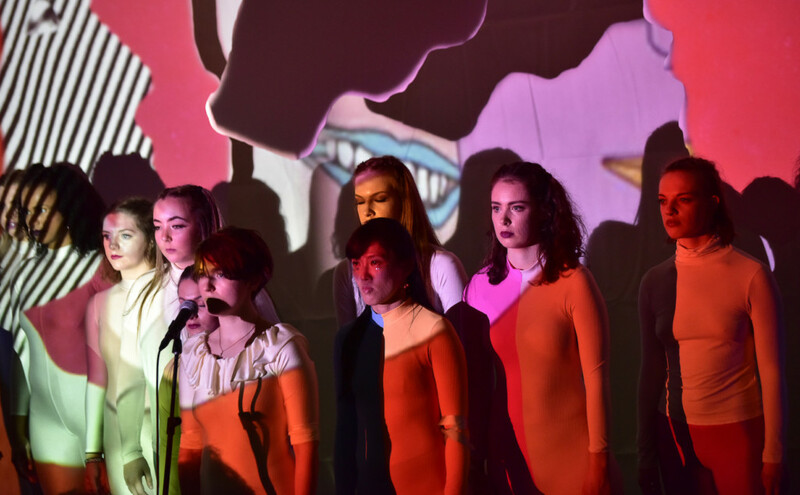 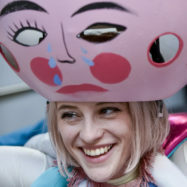 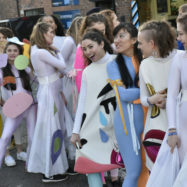 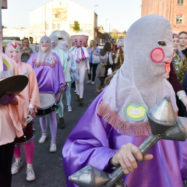 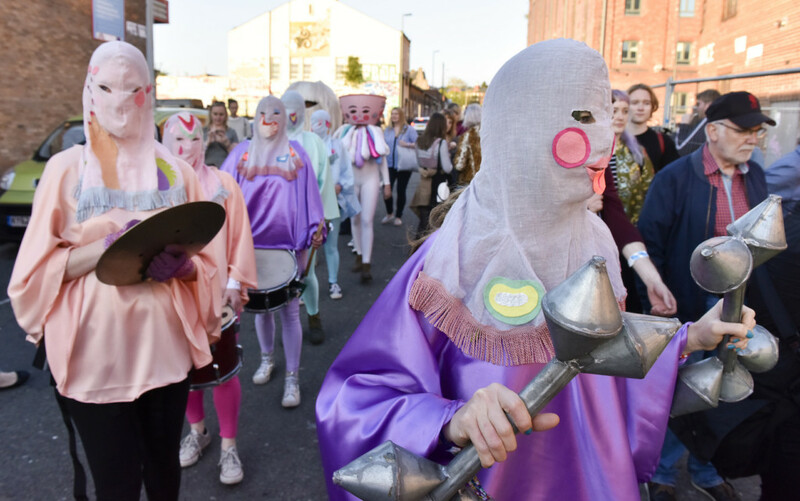 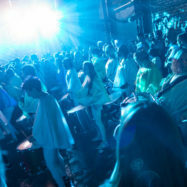 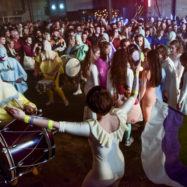 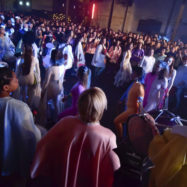 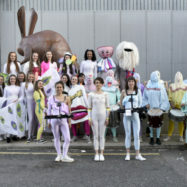 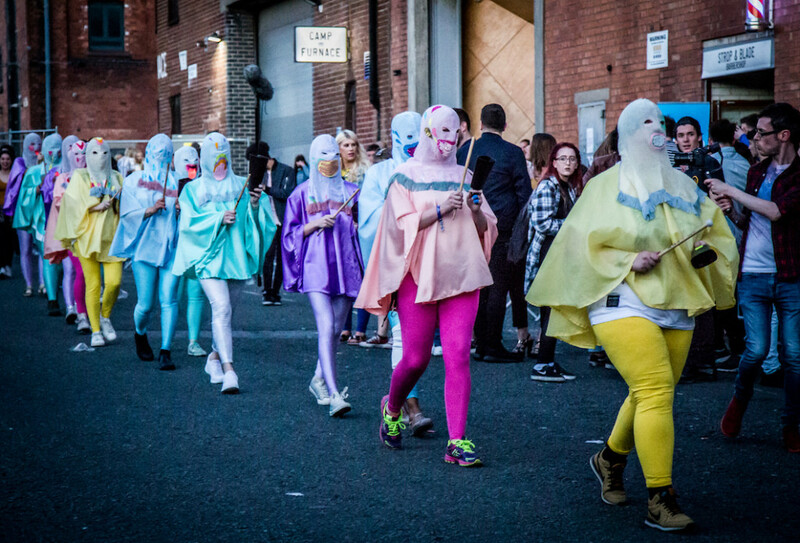 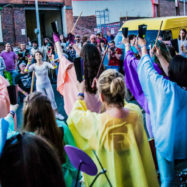 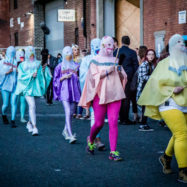 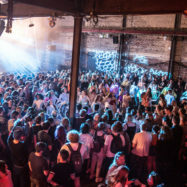 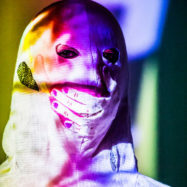 The performance premiered at Liverpool Sound City and featured 15 percussionists and a number of dance students recruited from Edge Hill University, who co-commissioned the residency. 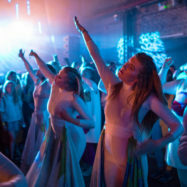 The Suffragette Tribute will be touring a number of UK festivals this summer, including Festival No.6, End of the Road and Head for the Hills, with more to be announced.